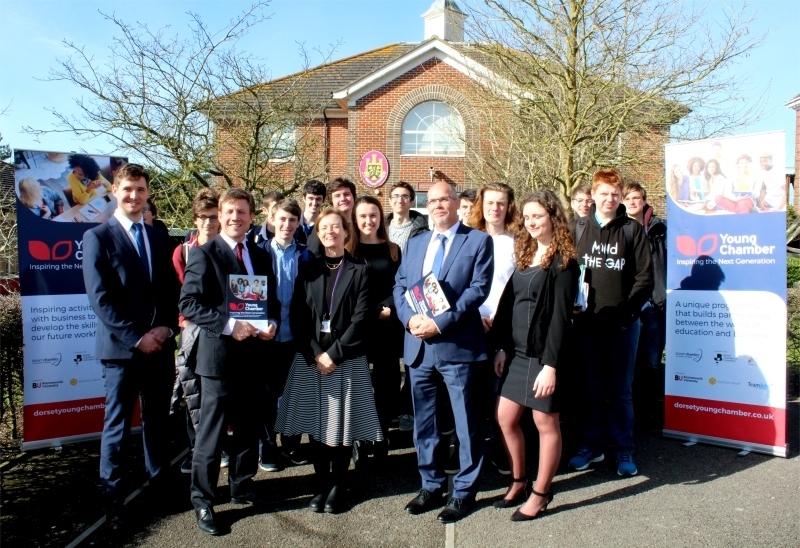 The Thomas Hardye School has become the first in West Dorset to join the new Young Chamber Programme, linking business and education.This is a pioneering initiative being led by Dorset Chamber of Commerce and Industry (DCCI). Winfrith-based Atlas Elektronik UK has sponsored the school’s membership, to put it on the map along with 12 schools and colleges countywide. Apprentices Ben Lawrence and Charlotte Cox, who started at Atlas Elektronik six months ago, gave a talk to sixth formers at the launch of the programme at the Thomas Hardye School. The school has signed up to the Young Chamber Programme as part of its ongoing work to forge closer ties with business and inform students of their career options. 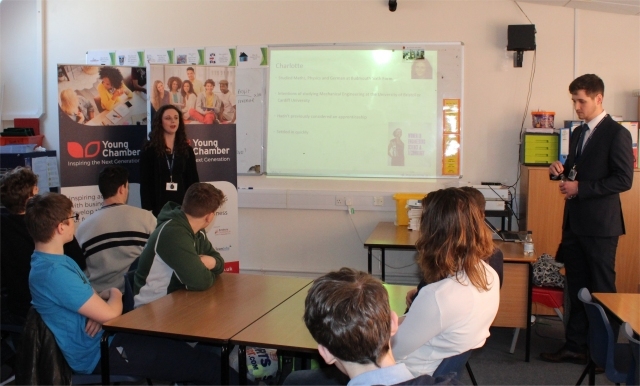 DCCI, which is Dorset’s leading business support organisation, launched the Young Chamber Programme last October.